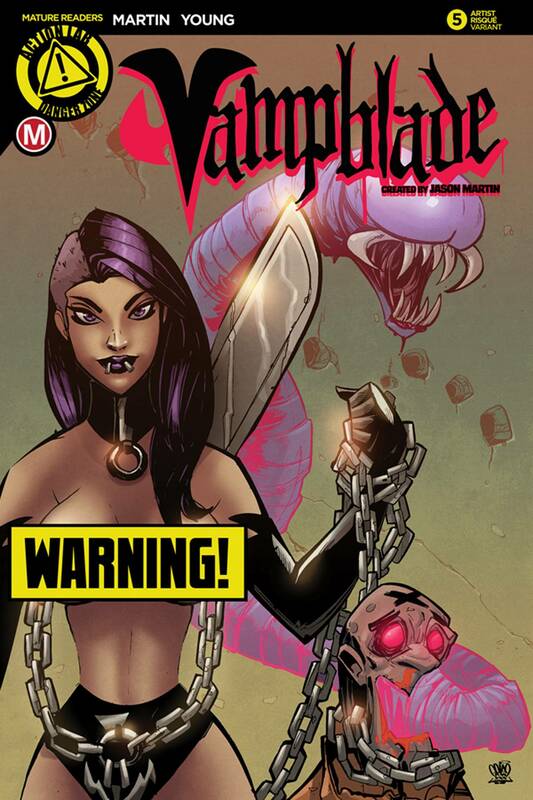 Katie Carva continues to discover more about the Vampblades, but a girl's gotta eat, so why not dine and slash?! Just when she thinks she's figured out how to take on the invisible-but-deadly Glorkian face-feeders, they go and get all next level on her! The hit series continues with an all new story arc. Features a regular and special variant by the series artist, as well as 'artist' and '90s Monster' regular and risqu? variant covers.